Home » Lets talk about it! Another fabulous article from Jane about why we need to open up the conversation around menstruation. As always, our thanks for sharing, Jane! Do you ever think about the pollution associated with disposable menstrual products? What happens to the used pad or tampon? Up until a few years ago I didn’t. I recycled glass, plastic and paper, but somehow I didn’t relate to menstrual disposables in the same way. I felt dis-empowered; I realised these products and their wrappers were made of plastic but there was nothing I could do with them. I didn’t know the alternatives, so I carried on throwing them away. There are nearly nearly 3.6 billion women in the world, so the scale of this environmental problem is huge. 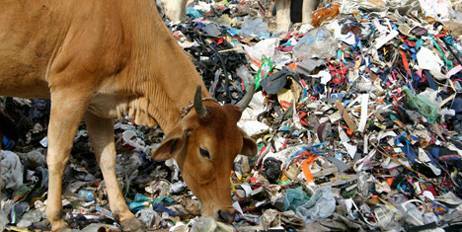 If every woman in India alone had access to disposables they would collectively need 58,500 million pads per year. An average US woman throws away 16800 disposable pads and tampons in her life-time. In the UK 200,000 tons of menstrual waste is generated annually which is either incinerated, buried in a landfill site or flushed into the sewerage system. The average disposable pad contains 5 carrier bags worth of plastic, a myriad of chemicals, and takes 500-800 years to decompose in a landfill, and never truly breaks down in the sea. Tampons, applicators and pantyliner waste makes up 7.3% of items flushed down the toilet and in 2010 the Beachwatch survey weekend found an average of 22.5 towels/backing strips/pantyliners and 8.9 tampon applicators per kilometer of beach. More than half of sewer flooding can be attributed to such waste that is flushed away, even if it is described as biodegradable on the packaging. 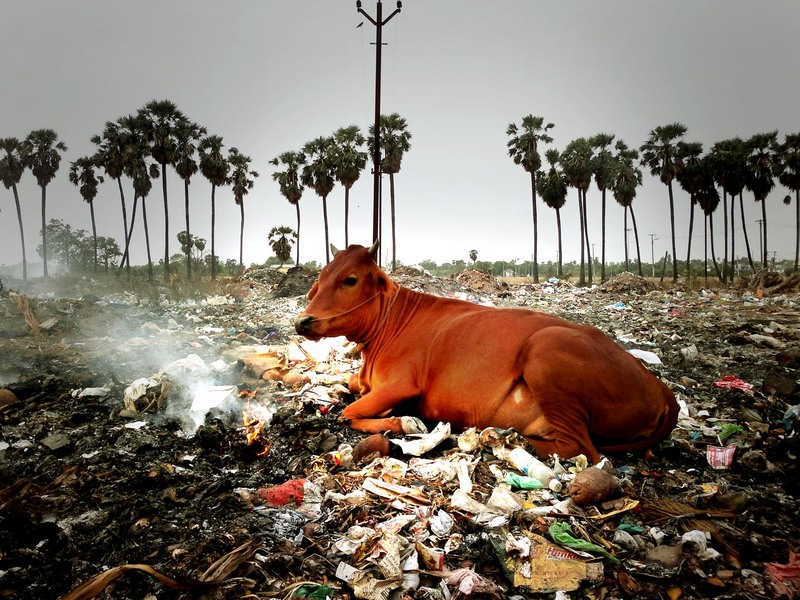 Incinerated waste causes toxins to be released into the air, and buried waste poisons the ground and can be dug up by animals risking the spread of disease. So what are the alternatives to disposables? 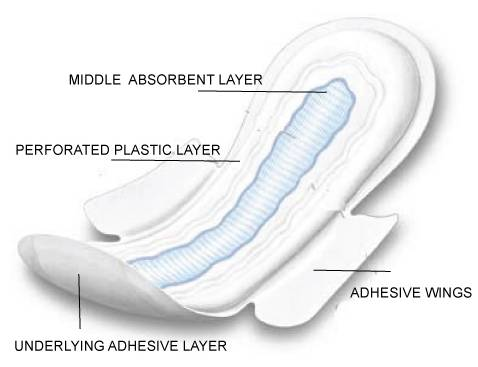 Many companies are out there selling ‘washable cloth pads’ and ‘menstrual cups’. 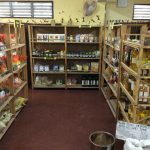 Just search on Google and you will be able to choose from a wide range of wonderful good quality products. I had the privilege to volunteer for an organization called ‘Eco Femme’ earlier this year, and was really impressed with the quality of their pad range and amount of charity work they do in India. There the problem of menstrual waste is escalating, the systems can’t cope, and socially the women are confronted with huge taboos around menstruation often leading to young girls missing school each month and women getting diseases due to lack of adequate sanitary protection. 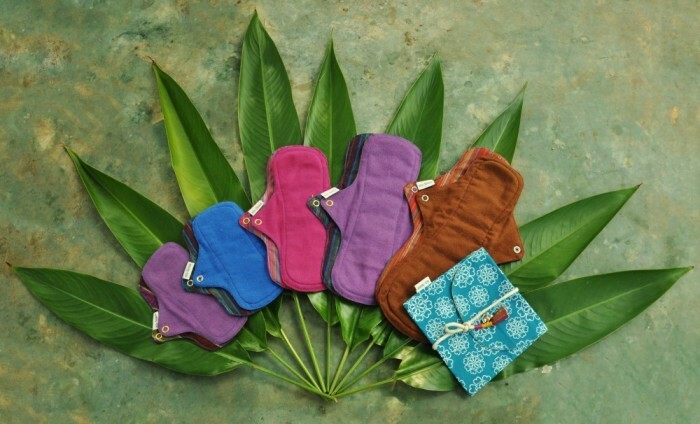 Eco Femme’s charity ‘pad for pad’ scheme means that every time one of us buy a pad they ‘gift a pad’ to a disadvantaged girl in rural India with a 45 minute educational session, covering things like anatomy, taboos, and pad care instructions. Also the pads are all stitched by women from rural Indian villages who are part of the local ‘self-help’ action groups. So what are cloth pads like? The soft cotton finish is comfortable and feels like underwear; they are as effective as disposables, often the same shape as disposables, easy to wash – after soaking for half an hour in water they can be put in the washing machine along with your clothes. They come in a range of sizes from the pantyliner (that can be worn with a menstrual cup) to a night pad size, and they are free from harmful chemicals. If you would like to write an article about your experiences with cloth pads for our blog then email us at [email protected].